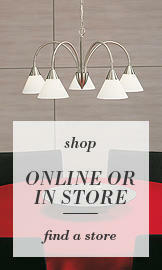 The Astra Diamante lighting collection combines all the elements of luxury to give your home a sparkling finish. 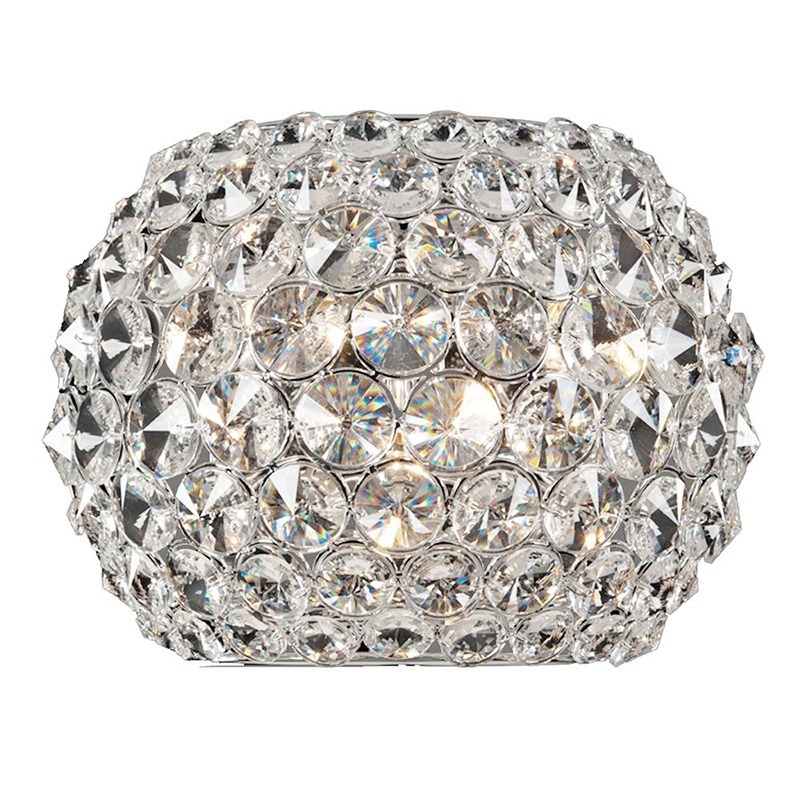 Crystal diamante features, a sleek chrome finish, an opal diffuser finished with a smooth round shade makes this collection the pièce de résistance for any home. Our high end collection is available in a range of fittings to suit any size of home including a choice of two ceiling fittings. 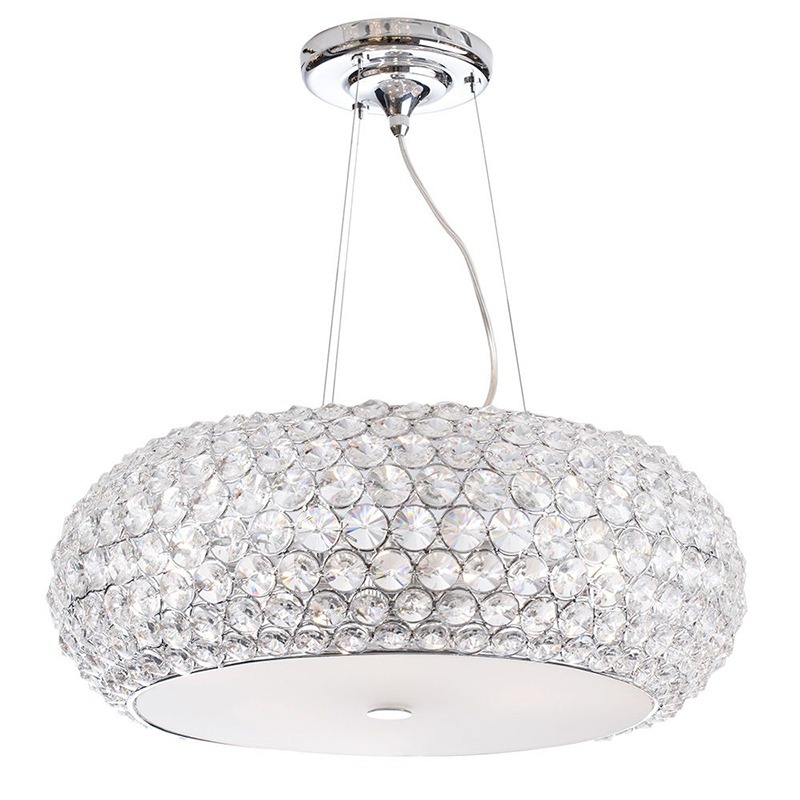 For homes with substantial ceiling space choose our Astra Diamante Pendant, this stunning fitting features the iconic Astra round drum style shade encrusted in a layer of glistening diamante crystal effect gems. 6 dainty G9 bulbs create a shine from within whilst an opal finished diffuser gives a subdued glow. This pendant is suspended from a polished chrome rose by 3 cables that are so thin they give the illusion that the pendant is floating in mid air. We’re not all blessed with high ceilings, that’s why our design team have created a flush version for the Astra collection that offers the same dazzling effect as the pendant fitting but in a more compact and space saving design. 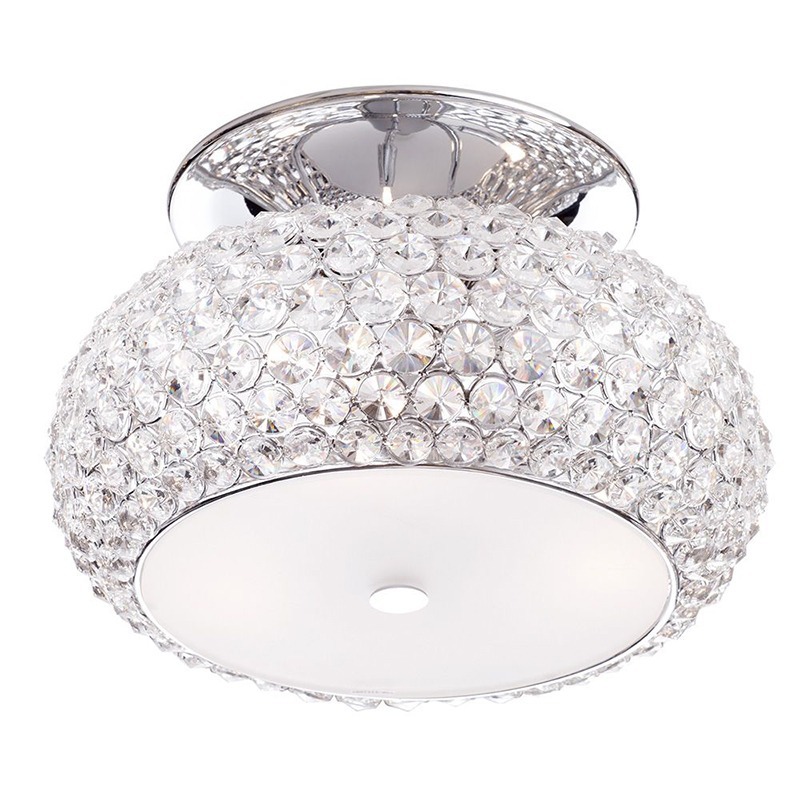 Again, the trademark diamante encrusted detail and opal diffuser takes centre-stage. And with 6 lights you’ll still get the same level of illumination as the pendant version. As with most of our new collections, our design team like to give our customers a complete range that includes wall lights, table lamps and floor lamps. And our Astra is no exception. 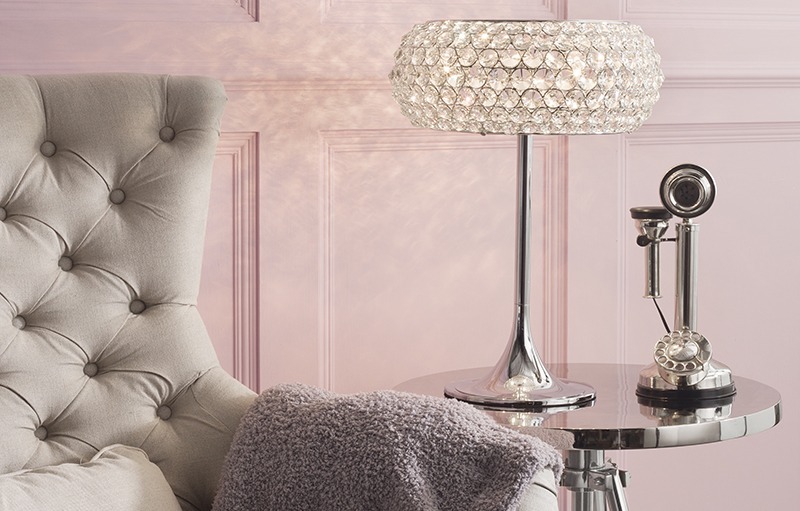 We’ve added a stunning table lamp into this collection. 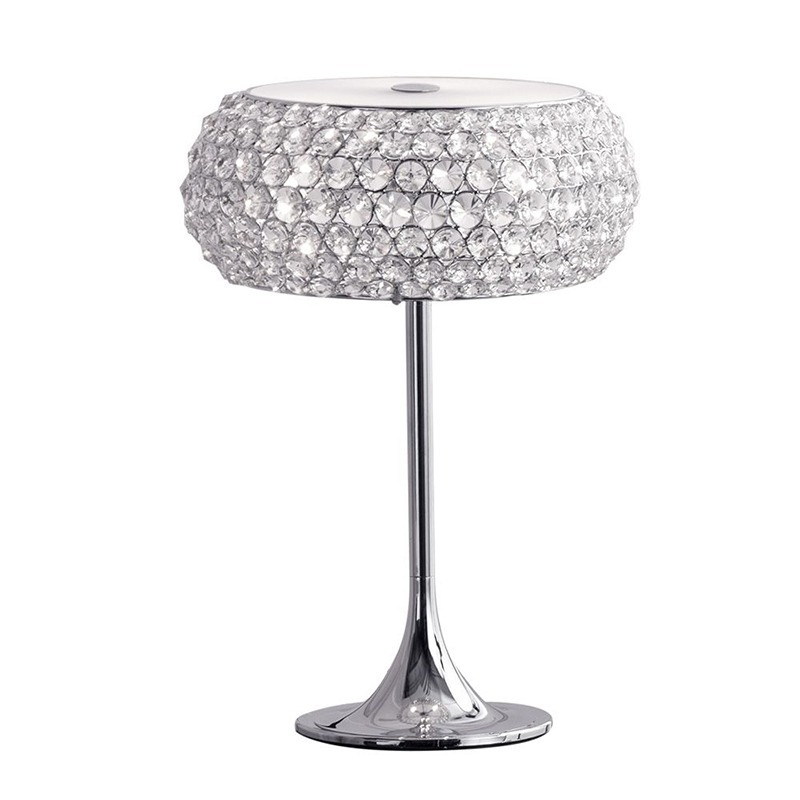 Our Astra Diamante 3 light Table Lamp features the encrusted drum shade perched on a super sleek chrome base, 3 bulbs give this lamp just the right amount of illumination. 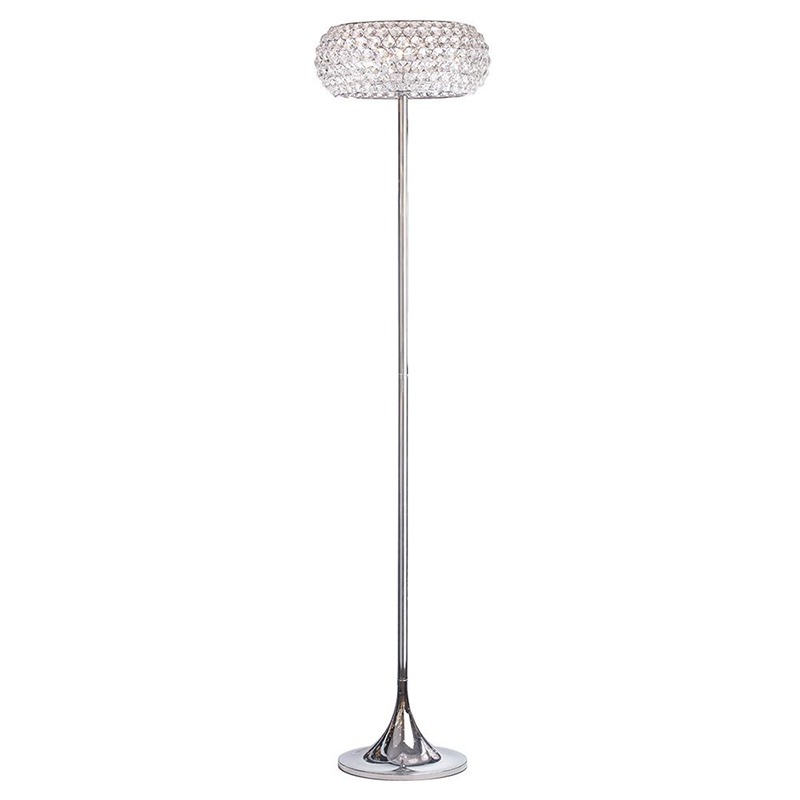 A statement piece, this lamp should take centre stage on a side table or as a bedside light. A complimenting floor and wall light complete this spectacular range. We love this luxurious range and we hope you do too.